Course meals are the way to go this CNY. 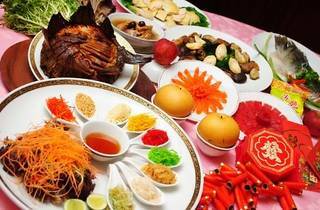 Under the Auspicious CNY set, there are two different seven-course meal sets for a minimum of four people. An exclusive 10 people per table package is also available where a 38 percent discount will be given for every second table of the same package reserved. Some of the food highlights are salmon yee sang and salted cheng yuen chicken. 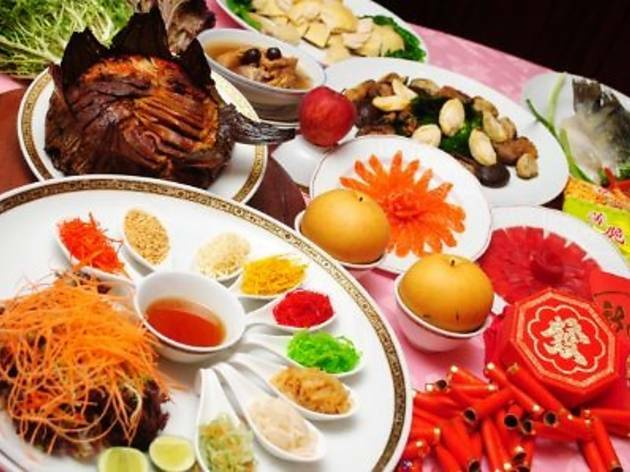 Under the Rich Fortune package, you have the option of choosing between two different sets of a nine-course meal, and both cater to 10 people per table. This package offer is limited and is only valid with a minimum reservation of five tables.